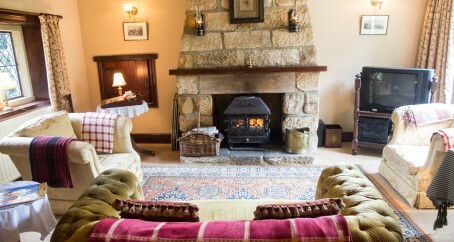 The spacious lounge with its wood burning stove and period furniture is the perfect place to relax after a day exploring the dales. 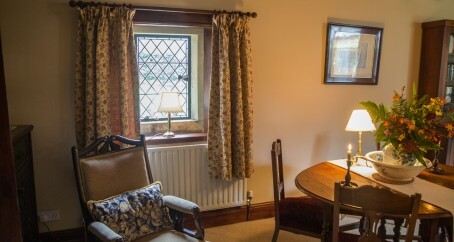 The lounge leads into a dining area which can be used as an alternative to dining in the kitchen. 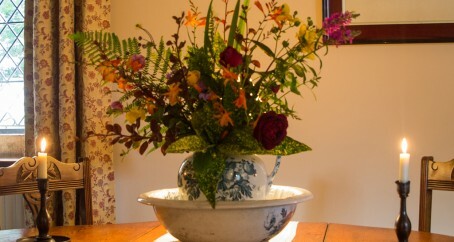 Adjacent to the kitchen is the dining room, furnished with a dresser and dining table which seats six, perfect for formal meals, a lovely way to end the day with a delicious meal after experiencing the splendour of the North Yorks moors. Alternatively, you may want to eat at one of the splendid eating places such as the Downe Arms at Castleton, the Duke of Wellington at Danby or the famous Lion at Blakey Ridge, the highest pub on the North Yorks moors. 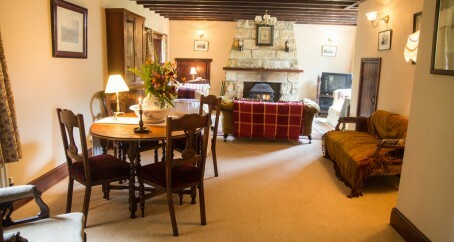 The dining room leads to the lounge with it’s wood burning stove (a complimentary pack of logs and kindling is included, further fuel can be obtained at cost price). There is a T.V. with Freeview, DVD player and digital radio with iPod docking station. There is also a good selection of books and games for those who prefer an evening without technology. 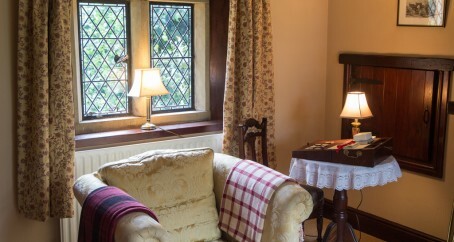 The views of the large garden and moors beyond are quite stunning through the mullioned windows. 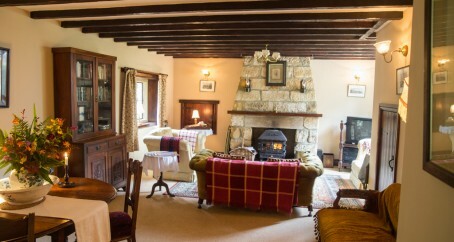 This is a lovely room to relax in after a busy day.